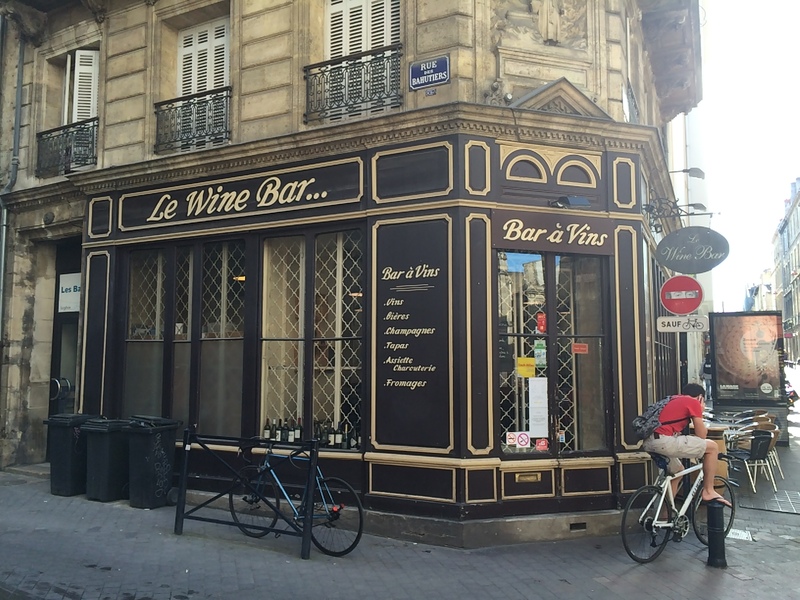 Le Wine Bar in Bordeaux, is always at or near the rankings of best wine bars in Bordeaux. There are a number of reasons for this, but Giancarlo is the main one – the co-owner and host is a raconteur about all things wine. Giancarlo and Dorianne on a previous visit to Le Wine Bar. I visited Le Wine Bar tonight to talk about bringing some tour groups in for a special evening during the next year. I met with Ginacarlo Savini and Emmanuel Cadei, the owners to discuss our options. Ginacarlo handles the wine and the front of the house duties and Emmanuel handles the kitchen and all things food. We came to an agreement and our entire Bordeaux and Paris Tour Packages will be announced soon. Le Wine Bar – Interior. After our meeting, I stayed around to spend some time talking with Giancarlo and sampling some wines and some of the food. I started with a glass of 2011 Chateau Beauregard, a Pomerol red blend. Very nice, smooth and excellent with the Charcuterie and Fromage Plate served up by Emmanuel. Now, the food at Le Wine Bar, basically, appetizers and platters of meats and cheeses, lean heavily to the Italian, as that is Giancarlo’s heritage. Le Wine Bar is not a high-end fancy place. It is very down-to-earth, and features less expensive wines for the most part. But, when you look at the bottle list, it is a different story. A wide range of wines from both the Old Word and the New World are available, and at good prices. Le Wine Bar – Exterior. So for my second glass (and for the third) of wine, I asked Giancarlo to give me something that he enjoys. 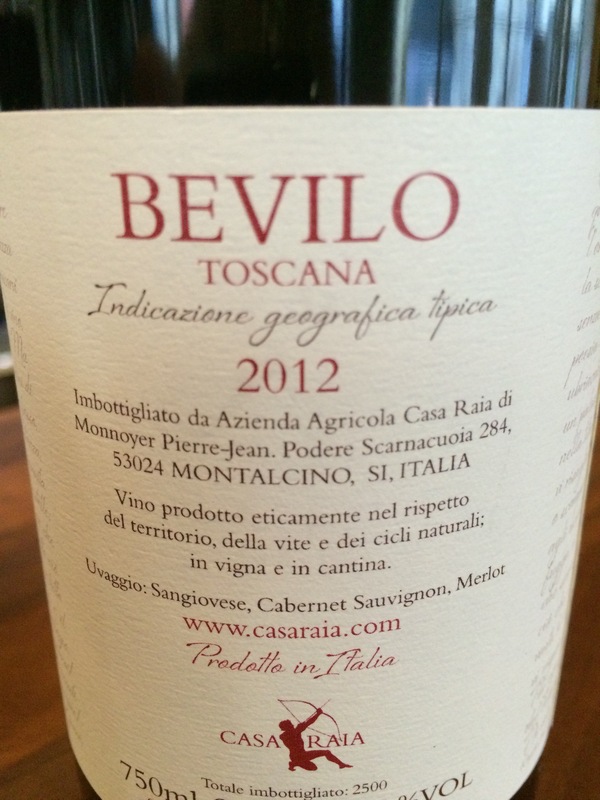 He opened a bottle of 2012 Bevilo Toscano, a Tuscan Bordeaux-style blend of Sangiovese, Cabernet Sauvignon, and Merlot. An amazing wine (apparently not available in the US) with very up-front fruit and medium tannins. Very velvety on the mouth with a long finish. The wine was noticeably better with the Italian Charcuterie and Cheese than the Bordeaux was. Coincidence? 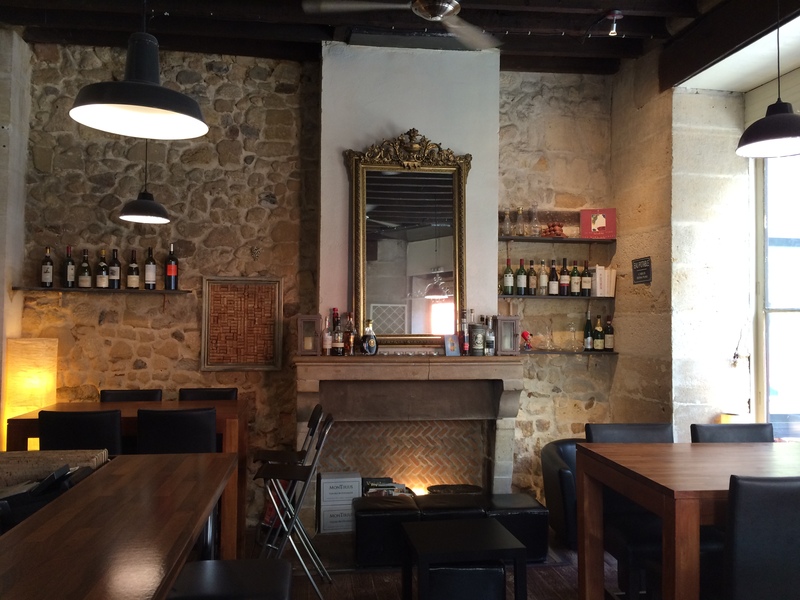 If you are coming to Bordeaux, put Le Wine Bar on your list. Or, you can join us on our upcoming wine tours and visit Giancarlo and Emmanuel with us. More information coming in June! 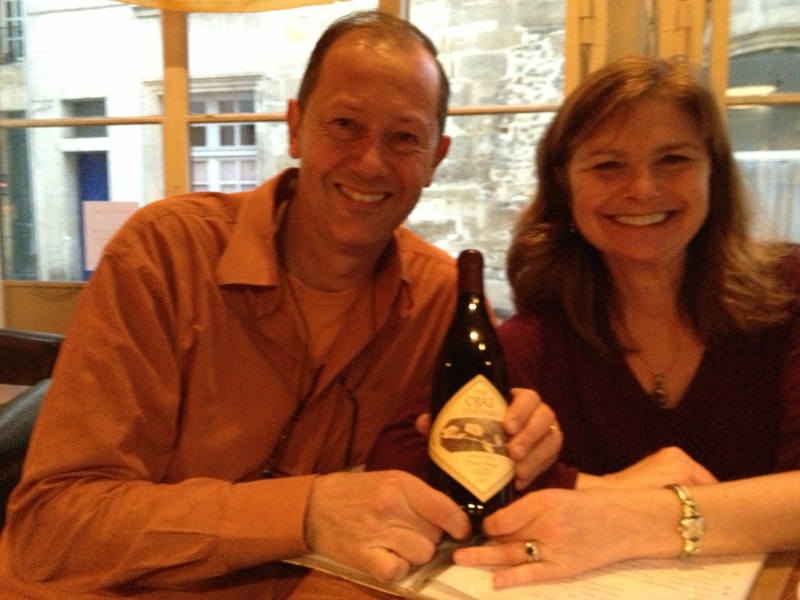 Jim, I have heard you talk about this wine bar a number of times and when I get to Bordeaux–it is on my list! 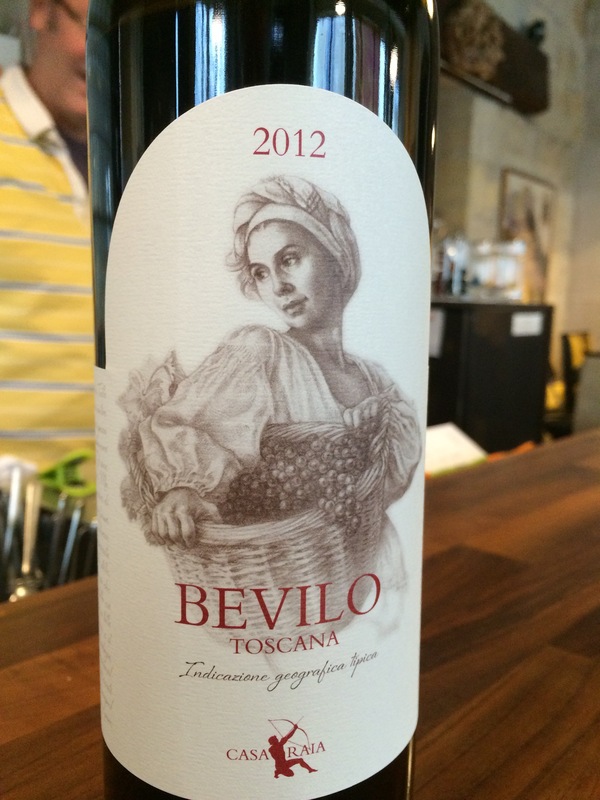 I found one place in the U.S. that sells the Bevlio (2009) wine for $40/btl. I had better luck searching under the name “Casa Raia Bevilo” and perhaps another reader can find something on the West Coast that has the wine.